I am still making lots of baby cards - I sell them at the hospital I work at in the little coffee shop, where people buy their teddies and balloons for new additions to the family. I am constantly restocking which is really nice. It is always nice to think people appreciate a hand made card. This card is 4 x 4 inches. 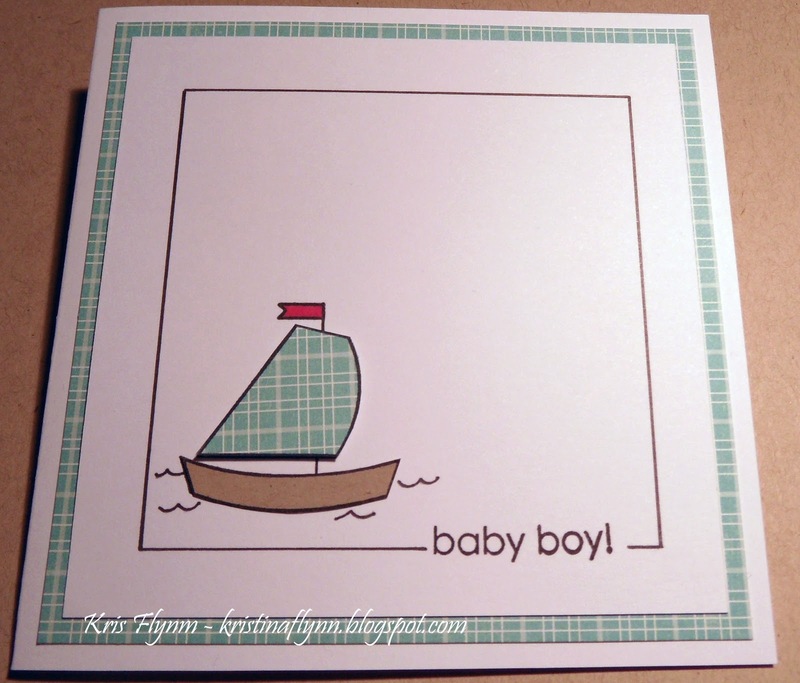 I used the Papertrey Ink set "Bitty Baby Blessings" for the boat image. I paper pieced the sail and hull. The greeting is from another Papertrey Ink set "Inside & Out: Baby". The check blue paper was from October Afternoon "Ducks in a Row" collection.